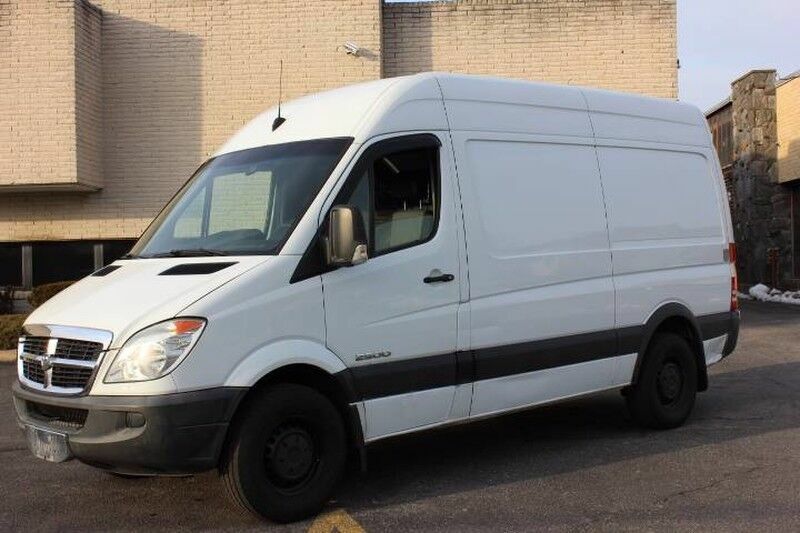 2007 Dodge Sprinter 2500 finished with an Arctic White exterior and Gray interior. Driven 106,152 miles since new. Options on this Sprinter include an automatic transmission, passenger side sliding door, rear backup camera, rear step and much more. This Sprinter 144" 2500 just underwent a complete oil and fluid service within the last 20 miles and it runs and drives very well. The turbocharged 6 cylinder engine is strong and powerful and the automatic transmission shifts properly through all of the gears. The steering is tight and precise and the brakes feel just great. All of the electronics are working as they should. The interior is in good condition for a work van. The driver and passenger seats are in good condition (see pictures) showing just typical wear to the seats. The dashboard looks great (has a backup camera as well) and the floors and rear cargo area are in nice condition as well. The exterior is in good overall condition for a van that was clearly used for work. The white paint is in nice shape with some typical bumps and bruises (see pictures) here and there. The wheels and tires are looking good as well. The 2007 Dodge Sprinter 2500 really is the ultimate van that can be used for so many different work situations. They have plenty of space, ride very well and have all of the safety and reliability of the modern Sprinters. There are some "apologies" to this Sprinter that I would like to mention. There are several scrapes, nicks and imperfections that are clearly evident in the photos. Please feel free to call me (Matt 516-658-4048) with any additional questions you may have.